Ecstasy use is still a problem among youth in areas all over the world. Ecstasy, or MDMA, is popular because it’s a stimulating drug that facilitates social engagement, feelings of euphoria, and general excitement. Unfortunately, an ecstasy user will fail a drug test if they haven’t metabolized ecstasy out through blood of urine. For this reason, a lot of folks take interest in learning about how long MDMA stays in your system. How Long Does Ecstasy Stay in Urine? How Long Does Ecstasy Stay in Blood? How Long Does Ecstasy Stay in Hair? How to Get Ecstasy Out of Your System? The body metabolizes ecstasy in a similar fashion as other substances. The method of consumption affects the metabolism and thus how long the MDMA stays in the body. The metabolism of MDMA begins in the stomach, after ingesting a pill. The metabolism differs for those who prefer to snort the drug. After ingesting a pill, it’s absorbed into the bloodstream through the small intestine. This takes between 30 and 60 minutes. Ecstasy then travels to the lungs, where it becomes oxygenated. This allows it to pass through the blood-brain barrier, a membrane that protects the brain from certain compounds that are unhealthy. From this point forward, the liver processes the drug. The effects usually falter after 6 or 7 hours, but ecstasy remains in the body for up to 50 hours. If someone is struggling with ecstasy addiction, the best thing to do is call a drug rehab hotline. Call (888)-459-5511 to get in touch with the resources necessary to overcome an addiction. Ecstasy remains detectable in the urine for much longer than it does in the blood. The blood clears MDMA out of the bloodstream in less than 24 hours. However, traces of ecstasy are present in the kidneys – which process toxins for urinary excretion – for at least 40 hours. If urine is too alkaline (less acidic, or too high on the pH scale) then ecstasy isn’t metabolized as fast. It can stay for longer than 3 days. Tests can also detect HMMA, which is a metabolite of MDMA. Tests that screen for HMMA can prove someone used ecstasy up to 5 days after taking the drug. The body excretes drugs quickest through the blood. In most cases tests only detect MDMA in the bloodstream within 24 hours of taking a dose. This is because the body processes MDMA out of the blood so it makes its way into other organs, such as the kidneys, where it can be further broken down for elimination. 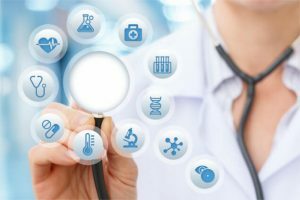 Advanced drug tests can detect HMMA in the blood, as well. When testing for HMMA, tests can determine MDMA usage from a blood test up to 3 days after taking the drug. Drugs remain in the hair for much longer than they do in bodily fluids. This is because your hair does not go through the same cycle as your urine and blood. Tests can detect MDMA in hair for more than three months after using the drug. Hair testing requires proper analysis and lab equipment. This is why drug tests do not often include hair testing. Only hair that’s longer than 3 cm is worth testing. MDMA will not appear in the hair immediately after it’s taken. However, it remains for much longer. For this reason, hair tests are usually given for people when testing for drug use over a longer period. These are some tips for how to get ecstasy out of your system. These tips may not be entirely effective on their own, but they can contribute to quicker excretion. Stop using ecstasy entirely. This is obvious, but also necessary. Some people think that tests won’t detect small amounts of MDMA. This simply isn’t true. Lower doses are excreted a bit quicker, but tests detect any amount of drugs in your system. 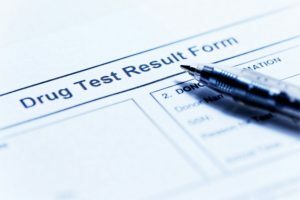 The more time that passes between ingesting ecstasy and taking a drug test, the less likely for the body to detect it. Increase the acidity of your urine. The pH of urine determines how long MDMA will stay in your system. Alkaline urine does not metabolize MDMA as quickly as acidic urine. Take supplements. There are supplements that promote the elimination of MDMA. In particular, supplements that increase the activity of the CYP2D6 enzyme, which is responsible for breaking down many drugs, will help ecstasy pass quickly through your body. Conversely, avoid taking drugs that decrease the activity of CYP2D6 – this will cause the ecstasy to stay in your system much longer. Exercise. Regular exercise helps to improve circulation, and having healthy circulation helps to remove toxins and drugs from the body quickly. Living a sedentary life will cause drugs and all manner of toxins to remain in the body for longer periods of time. Stay hydrated! Staying hydrated is important for all of your bodily functions – including the excretion of foreign substances. Hydration helps excretion primarily by providing the fluids needed for urinary elimination. This is even more important if you mixed ecstasy with alcohol. Drug tests are generally accurate, but there are several things to consider. These factors influence the outcome of drug tests. Obviously, the time someone takes a test compared to the time that drugs were last used will impact the results. The laboratory and equipment used will greatly impact the results of the test. Low-quality equipment could lead to a misdiagnosis. Food eaten prior to the test affects the results. Eating mints or using mouthwash might change the results because these things make it more difficult for the test to determine if drugs are in the body. It is important to keep these things in mind if there is a necessity of taking a drug test soon. How long will 2 Ecstasy pills stay in my urine for a drug test?